Readers know that as a huge fan of Bespoke Research, I like to copy and paste some of their work to this blog as a source of reader enlightenment (hopefully). Personally, the FANG trade (i.e. Facebook, Amazon, Netflix, and Google) looks extended and way overbought, but you could have said that at any point in the last 180 days. I told a client at a meeting in the last 2 weeks, that Facebook could pull all the way back to the low $80’s and still be technically intact. What has surprised me about this year and the “Growth vs Value” return disparity, is that this dispersion typically happens in markets where the SP 500 has a pretty decent year, i.e. +10% – 15%. Normally in flat years, or weaker years, Value tends to do better, if memory services correctly. 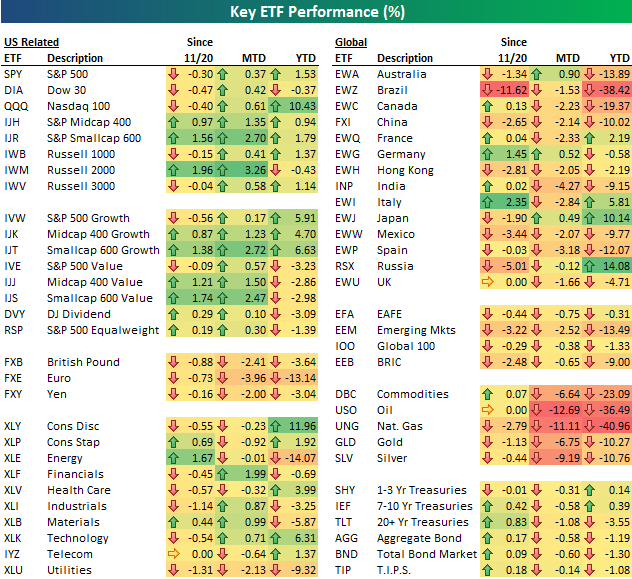 Note the disparity in the 10 SP 500 sector returns (first column, 3rd block) – Energy and Industrial’s could be the sleeper sector for 2016 if only by being “less worse”. Personally, while Growth could still do well in 2016, I suspect Value won’t under-perform to the same degree in 2016. Look for this performance disparity to dissipate in 2016, maybe even reverse.